We the manufacturer of Offering Staff, Gym, Spa, Swimming Pool or Health Club Lockers. 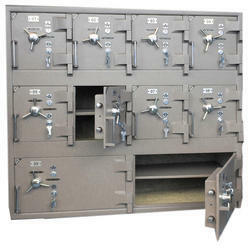 Lockers can be fabricated in any size, type & varied locking options. We deal all over india, delhi, noida, meerut, ghaziabad , banglore, mumbai, etc. Looking for Mobile Phone lockers for Hospitals ?